I am a Certified Holistic Nutritionist (and totally foodie) who is passionate about helping exhausted and overextended military spouses become vibrant and thrive again. I went from being in the Army to being married to the Army. I know firsthand how it feels to be the forgotten one in this lifestyle, the true unsung hero. I get the most happiness and fulfillment from Nutrition to Heal Yourself. 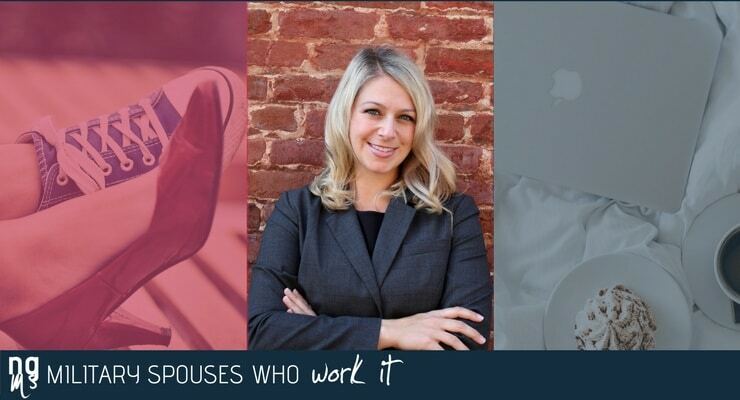 I founded this business to improve the lives of military spouses by helping them honor their value. I am the AFI 2018 Military Spouse of the Year Base Spouse Fort Riley. 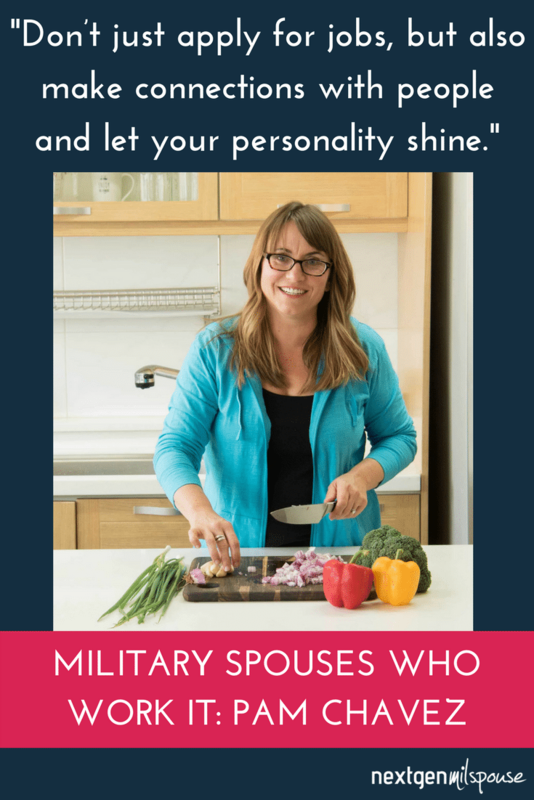 My publications can be found on FoodMatters and The Brick Magazine and my podcast “Hey Military Spouse, Your Time is Now,” which can be found on iTunes, is full of quick, bite-sized nuggets of goodness. I am an entrepreneur, so I set my own hours but I seem to work a lot because I love it. I launched my business just over two years ago, while we were stationed in Korea. If I wanted to work I had to create my own because getting a job as a holistic nutritionist in Korea would have been next to impossible. The majority of my work is from home. Although I hold wellness workshops in the community too. While stationed in Korea I would give tours of the local outdoor markets to help military spouses break down the intimidation with local ingredients and language barriers. I love showing military spouses how simple healthy food can be and that it makes you feel amazing. Preparing healthy meals for yourself and your family doesn’t require exotic ingredients, isn’t expensive and is full of flavor. There are so many incredibly hard parts to this lifestyle and it is super easy to always put your health on the back burner. Once you have the tools and more importantly, when you begin to reap the benefits life is much more enjoyable. When I help someone lose weight, skyrocket their energy, and begin feeling true happiness again, it is incredibly rewarding for me. Out of necessity and a drive to work, I launched my own business while we were stationed in Korea. Being an entrepreneur is so much harder than I thought it would be but it is also extremely gratifying. There are so many layers to building a business but I love the independence and creative direction I have by working for myself. Be open to opportunity and start conversations in environments where you would like to work. So much of getting employed is knowing someone or the right people. Don’t just apply for jobs, but also make connections with people and let your personality shine. Failure isn’t easy, but there is so much to learn in every situation. If there is a way to put the pieces together and figure out what failed, do it, adjust and get back in the game. Failure doesn’t equal the end, unless you let it be that way. Gosh there are so many challenges while living the military lifestyle. Honestly one of my biggest challenges is my spouse being under constant stress and always working. 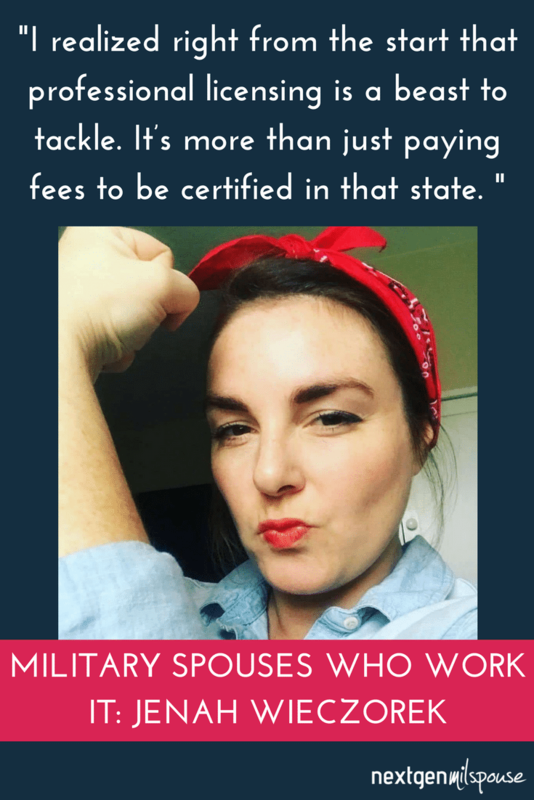 The military has taken my spouse from me, physically and emotionally so consistently and it is tough to feel I don’t have my partner very often. While promotions and career progression has its benefits, it also takes a toll on the soldier and increases work stress exponentially. 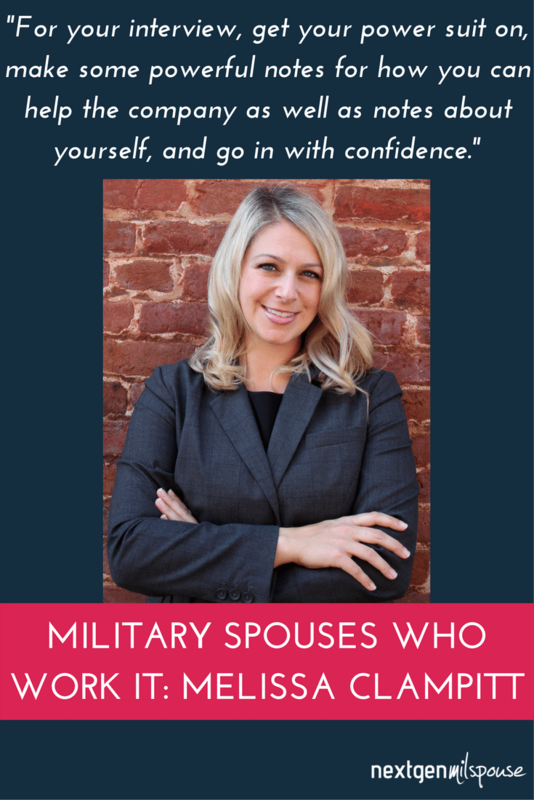 The worst piece of career advice I received was when I was told to not work exclusively with military spouses because I would be limiting myself. I had hired a group of prominent business coaches and I felt they knew better than what my gut was telling me. Once I fired them and listened to my intuition, things began to take off. The best piece of career advice I have received is to follow my instincts. I would love to say it is my spouse and he is one of my support systems. Honestly though the best support systems I have are my girlfriends and other milspouses. 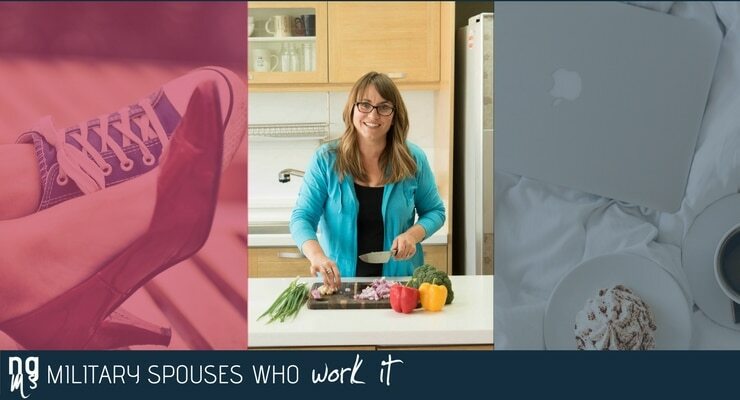 My husband doesn’t really get my unique challenges because he doesn’t live this military spouse lifestyle. I would love to say that we do, but honestly that is not the case. My hope is that one day we will get there, right now with his work demanding so much of his time and energy we do not split household tasks. Hiring a house cleaner has been a lifesaver for myself and my marriage. I used to get very resentful with the lack of help around the house. I don’t get weekends off so I didn’t see it as fair that my spouse wasn’t pitching in on his time off. I decided to remove the possibility of resentments building and hired a house cleaner to come in and it was one of the best decisions I have ever made. With three young boys my home is constantly needing something cleaned, so I still have plenty to take care of but it relieved a lot of time which I could use to build my business. It may not be your typical life-hack but starting my day by flooding my body with vitamins and nutrients with dark leafy greens and fruits sets my entire day up for success. The simple act of keeping frozen fruit, fresh spinach or kale, maybe some nuts or seeds and a bunch of water makes an incredibly delicious smoothie. Not only does it begin to clear the fogginess from my mind, it gives me loads of energy. This one habit sets the tone for my day by knowing I gave myself some love and influences positive decisions throughout my entire day. My Macbook. It is the lifeblood for my business and I step into work mode when I am on it. Trello is my current favorite. It helps me stay on task while also mapping out what needs to get accomplished. Along with the power of food, yoga has been instrumental in my mind/body happiness. I had wanted to begin a yoga practice for many years. Once we moved to South Korea, which proved to be the most difficult transition thus far, I knew I had to give it a go. 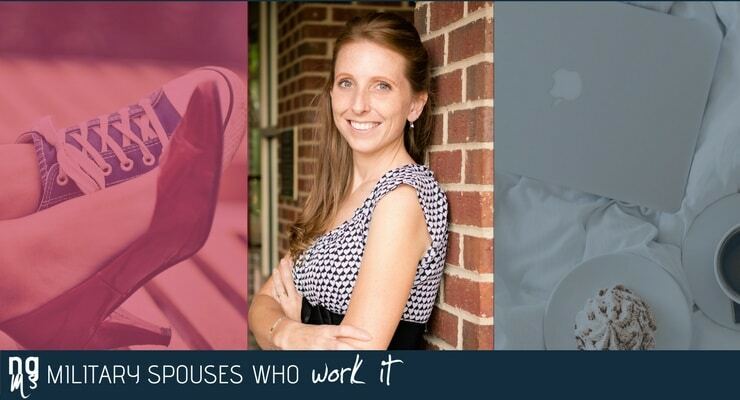 I was struggling with loneliness and the effects of my husband’s work stress spilling over into our home. “Yoga with Adriene” was an amazing platform I stumbled upon on YouTube and she offers hundreds of free videos. I loved her style, quirkiness and sense of humor. She is perfect for a beginner too. I have done her videos consistently for over two years now and still love them just as much. My super hero power would be to fly. I have always flown in my dreams and it always makes me so happy. Plus I could fly my children around to visit family that they miss dearly. Traveling with a family of five is expensive, exhausting and is such a chore. About 3 years. I published my first book in 2014, then started freelance writing in 2016. 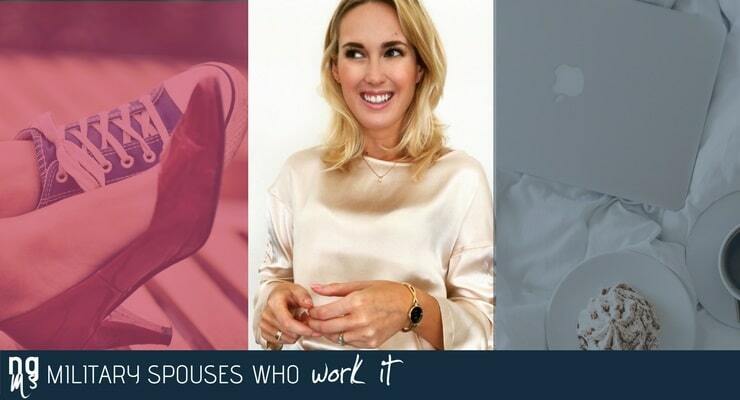 I work from home, which is important to me since I have 4 young children. 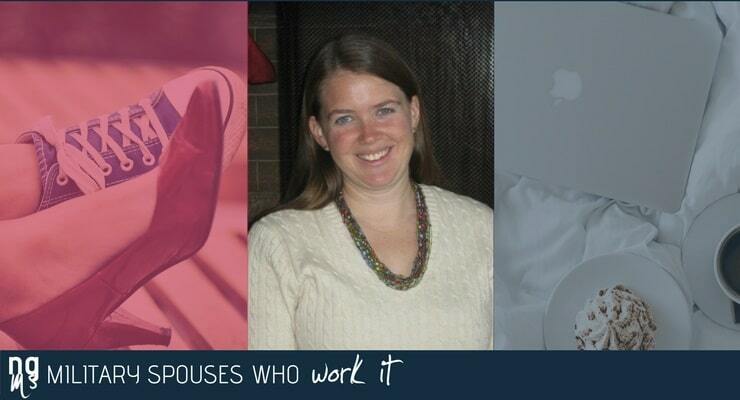 I love getting paid to do something I enjoy (writing) and the fact that my work helps other military spouses! 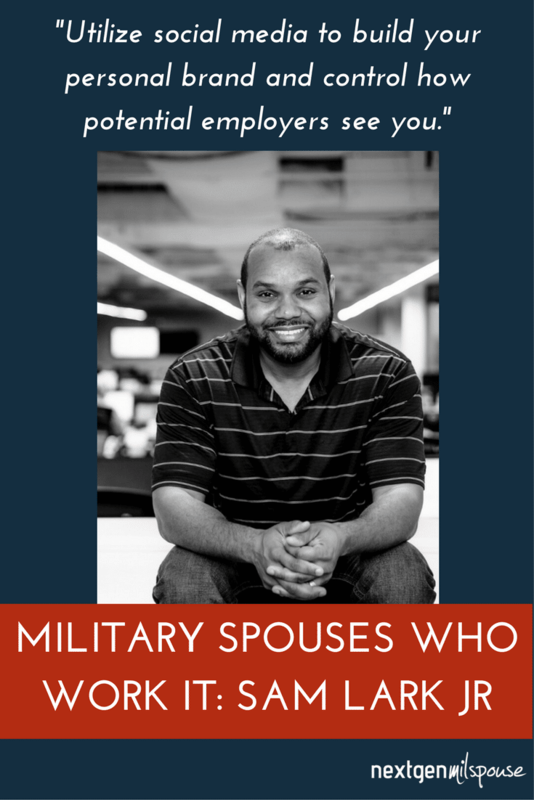 I am all about supporting and encouraging other people as they navigate the challenges of military life. My first book, Welcome to Rota: The Unofficial Guide to Getting Settled, and Enjoying the Culture, Food, and Travel Opportunities of Southern Spain is a guidebook for military families stationed overseas in Rota, Spain. I wanted to make it easier for people to move to Spain, find houses and schools, and get adjusted to Spanish culture. It has been so satisfying to help improve lives at a duty station I loved. 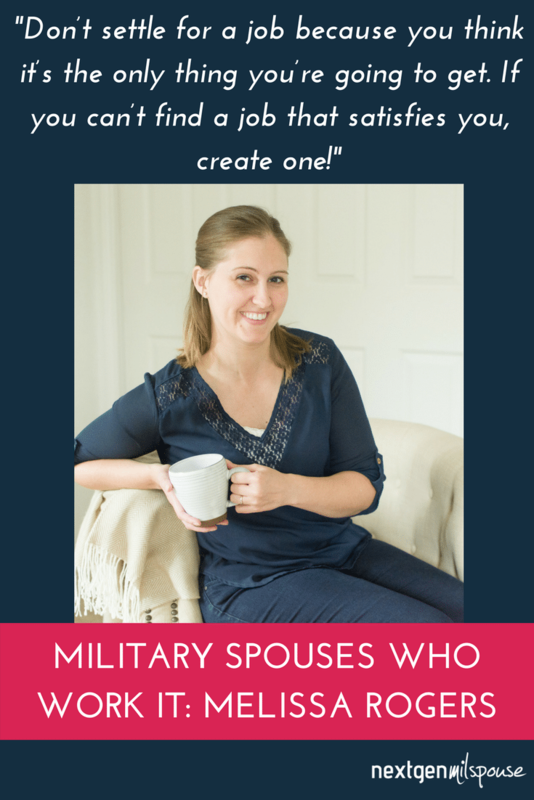 Now, as a blogger and freelancer, I write articles about handling military life – resources, money-saving advice, and strategies for handling deployments or raising children on your own. 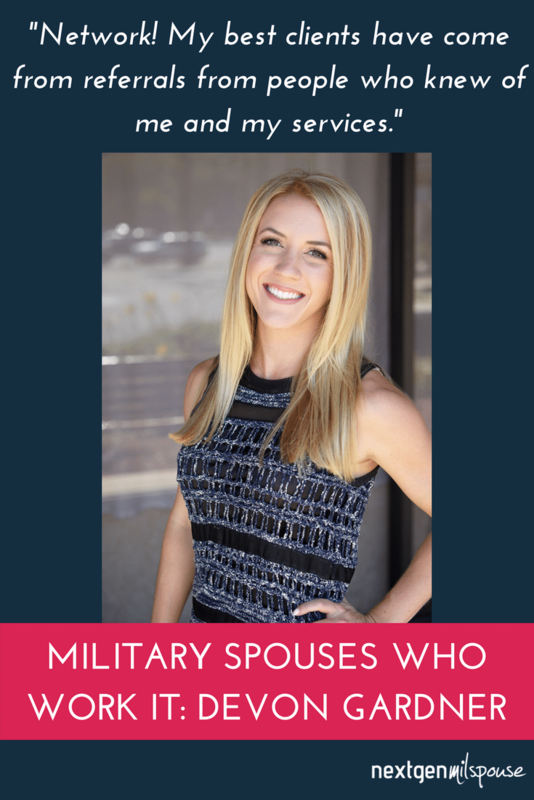 These tips can truly improve the quality of military spouse life. I love meeting amazing military spouses online and connecting with new people. Becoming a self-published author was a 1-person show. I decided to write a book based on our experiences in Spain. I used Create Space, an Amazon publishing company, to be my own editor, publisher and marketing department. It was a lot of work, but the book continues to sell well and receive excellent reviews even after 3 years, so I consider it a success. The writing and editing jobs happened more indirectly. I started a blog called The Seasoned Spouse. As an English major, I wanted my posts to be well-written and professional, even if I didn’t have a big audience. 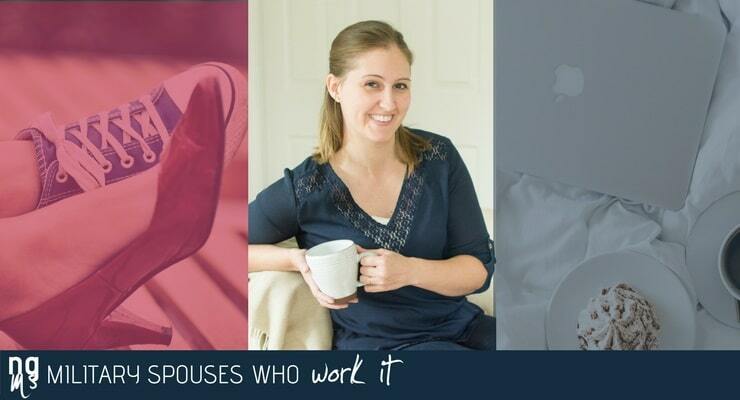 I reached out to all kinds of military spouse websites, companies and individuals, offering to do guests posts for them. Some ignored me, but others followed through. Soon, I had a trickle of paid offers from various blogs, magazines and companies. I continued to build my portfolio and the work steadily increased. Set goals, and then…just keep swimming. You have to put your eggs in a lot of baskets because you don’t know which one will hatch, haha. With blogging, it is typical to make no profit for the first 3 months. During that time, you should be reaching out and networking, but it will take a while for anything to start paying off. The same is true with writing a book – there is a lot of work upfront before there is any profit. So just keep trying and doing your best. This post contains affiliate links. If you purchase Lizann’s book via our links, you help us keep the lights on and the good times rolling. It’s frustrating. But sometimes it can also be a learning opportunity or a chance to go in a new direction. I try to stay positive about most things. Living overseas was the hardest. There are rules about how and where you can apply for jobs, so opportunities are really limited. That’s partly why I chose to write my book: creating and selling a product on base was one of the few ways to earn income while stationed overseas. Worst advice: “You should just homeschool.” Yes, I have 4 kids. Yes, I spent a few years unemployed and staying home with my babies. That doesn’t mean I have to spend every moment with my kids or wait until they are all grown up before I work again. My husband has always been very supportive of anything I do. Whether I was a stay at home mom, working on my book, or spending evenings writing on my laptop, he has always been my biggest motivator and fan. I wish I could say yes. But sadly, not really. Too many years of deployments and me being a stay at home mom means that I am responsible for everything with the kids, laundry, cleaning, shopping, and cooking. Here’s the trade-off: he’s the one who gets up to go to work when it’s still dark. My strategy is to have a routine and do a little bit of laundry or cleaning every day so it doesn’t build up. I cook every day, but make use of my crockpot or cooking in large batches to make it easier. You have to out-source some things. I take the toddler to a babysitter/preschool 2 mornings per week. When I was writing the book, I had a housekeeper come to clean once a week. I love my headset and dictation software. It makes writing go so much faster, and blocks out some of the noise from the kids or TV. Fitbit helps me feel like I accomplish something each day, if I balance food and exercise. Quiet. I don’t listen to music. I crave silence. Probably spend more time snuggling the kids and husband, because that’s my fave. Flying. I could get places so much faster! In some form or another, I guess you could say since I earned my degree in the field – so on and off for 14 years. Communications is nice and generic like that. I have tinkered in other fields, but always with a slant toward what I know. 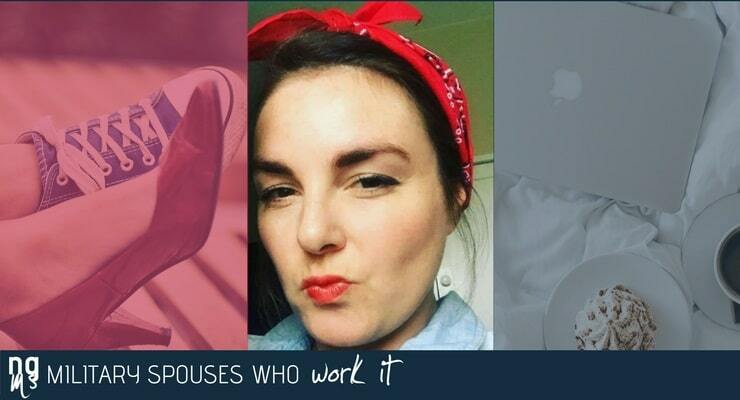 Hands down – the connections with other military spouses I’ve been able to make while helping alleviate PCS stress for military families. In order to build the installation guides for gomillie.com, I have had the privilege of hosting virtual focus groups at over 70 installations where milspouses gave me all the juicy intel on living near xyz installation. We laugh, we commiserate and we exchange hard-earned nuggets of information to help the next family reporting to that duty station get plugged in quickly! I stumbled across a company that I was so excited about that I couldn’t resist applying for a position that I was completely unqualified for! 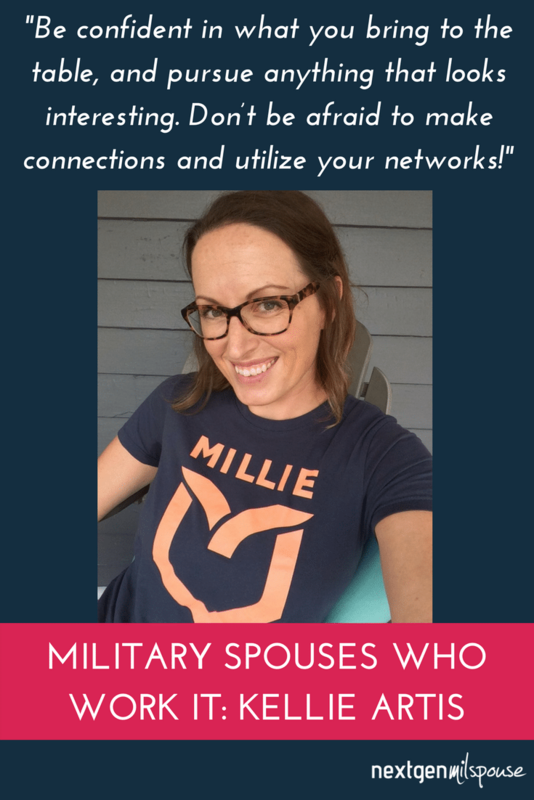 A friend forwarded me a job listing from a Facebook group (probably Milspo Project or In Gear Career) for a social media coordinator position with MILLIE – a brand new company looking to change the way military families PCS. 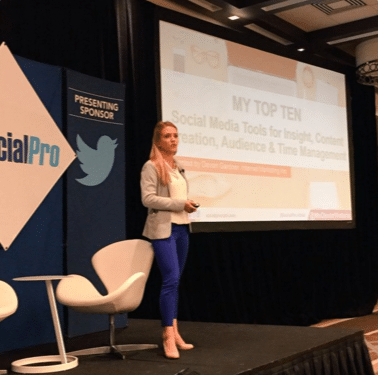 Having ZERO experience with social media management beyond my own personal profile management, I applied. I was honest with the team about my lack of experience but stressed my ability to pick up new tech skills, my innate curiosity and passion for learning new things. I was passionate about the mission of this company and focused each interview on convincing them to let me in (in any capacity) on what they were doing. After two interviews, I was not offered the social media position. However, the forward-thinking founders offered me something much more suited to my talents. The position I landed was something they had planned on filling later on down the road, but since I was there, capable, and eager they went ahead and made room for me on the team. Start with companies or an industry that you want to work in, then get your foot in the door whether they’re hiring for what you want to do or not. Even (or ESPECIALLY) if there isn’t an open position, propose what you could offer them and be willing to work through a trial period. If you’re passionate about the company to start with, pursue them, identify a need that they may not even know they have, and show how you can fill it. Most of my resume is made up of positions that companies created for me once I showed them how I can help them out. Be willing to work out a trial period with less than ideal pay so you can prove your worth to them, but set a solid date for an evaluation (I usually do 30 days) where you guys can evaluate your role and a salary that you’ve proven your worth. Sadly, the odds of finding the perfect job listing when you arrive at a new duty station are pretty slim. So, reach out to companies that you could see yourself working for, then go for it! You never know what conversations are going on behind the scenes and what future needs can potentially be. Even if you don’t snag a position at that time, at least you’re now on their radar. Be confident in what you bring to the table, and pursue anything that looks interesting. Don’t be afraid to make connections and utilize your networks! You never know what could turn up. I mean, it’s never fun but if viewed through a healthy lens failure can be transformative. There is no innovation without failure, and creativity thrives in environments where taking risks is encouraged. Yes, I may move in two years, but the two years that you have me as an employee will be insanely productive. Yes, I may be distracted and preoccupied when my husband is gone and my kids are sick, but I am loyal, trustworthy and resilient. 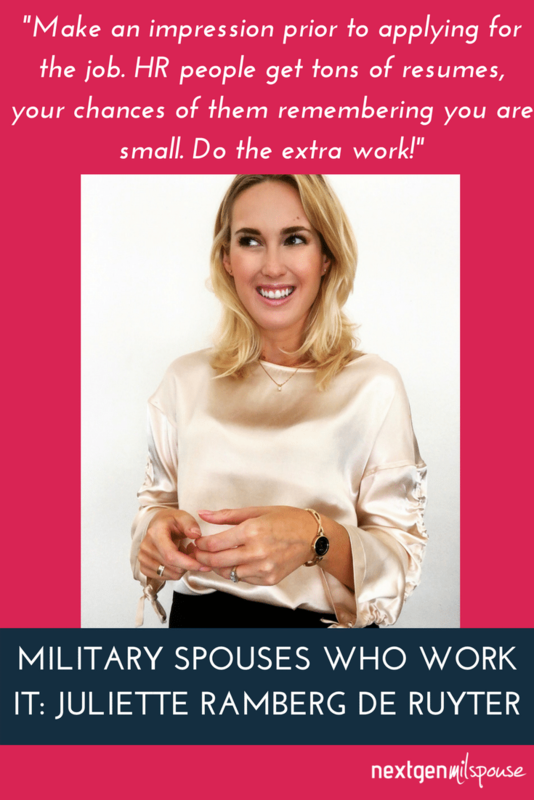 Yes, you as an employer may be taking a risk on an unknown by hiring a military spouse, but if you’re open to some unconventional practices (like letting me telecommute or operate in another time zone) you’ll see productivity soar. Yes, my resume is hilarious and makes utterly no sense, but if you take a step back and look at the broader picture you’ll see someone who has amassed an impressive array of skill sets in a variety of industries with tenacity, creativity and grit. Learning to sell all of those things to potential employers has been a challenge, but now I know my value and will fight for it. What is the best piece of career advice you’ve ever received? Tell us the worst too. Best – Always push through “no.” No hardly ever means no, so once you determine how to push through that, an entire world of possibilities can open up to you. Whether that is getting what you need or want, or doing it for a boss, don’t ever take a no at face value. Regroup and figure out another approach. “Maybe” is something everyone can work with. I was an executive assistant at the time to a man who had a penchant for micro-management. He basically trained me to follow up on EVERY minute aspect of my day, double-triple-quadruple checking behind literally everything I ordered/hired/booked. I spend an enormous amount of time making sure that things (as sold) would be delivered. There were many times that it worked out well for me since someone on the other end had, indeed, dropped the ball. But, I think there’s so much more value in propping people up for success (particularly subordinates) rather than expecting them to fail. We have a killer team at MILLIE and that extends well beyond our core team. 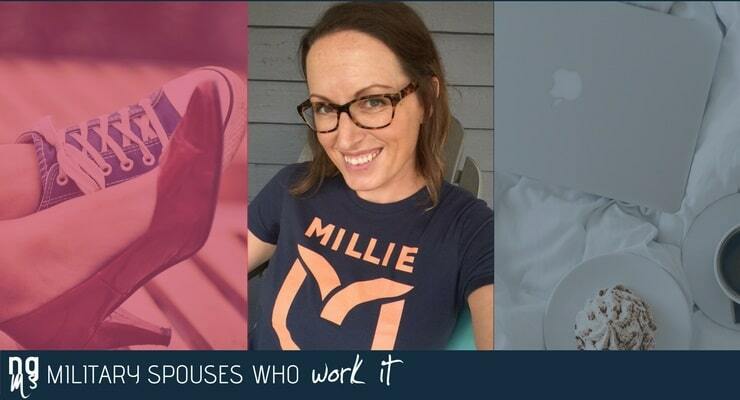 Our MILLIE Scout network of 100+ milspouses are crucial in the work I do. We lean on them to help us fill our focus groups, shoot area photos, create commute charts (they literally drive to the points! ), and helping us spread our message! All I have to do is call out to our Scout Squad, and they show up in droves to contribute information that will help the community! They are the reason we have been able to accomplish so much this past year! In that same vein, our AgentHeroes (MILLIE’s network of 600+ milspouse and veteran real estate agents) are always ready and able to contribute valuable and relevant information about their communities! Everyone we’re connected with is super passionate about supporting our mission of Bringing Military Families Home. My spouse is a huge support and has always been supportive of the random career paths I’ve pursued. He is patient and understanding with the after-hours work I put in once the kids are asleep. He’s also my biggest cheerleader when I’m feeling undervalued. There’s a huge need for validation when you have to reinvent yourself every few years, and he is attuned to that in me and always reaffirms my worth. 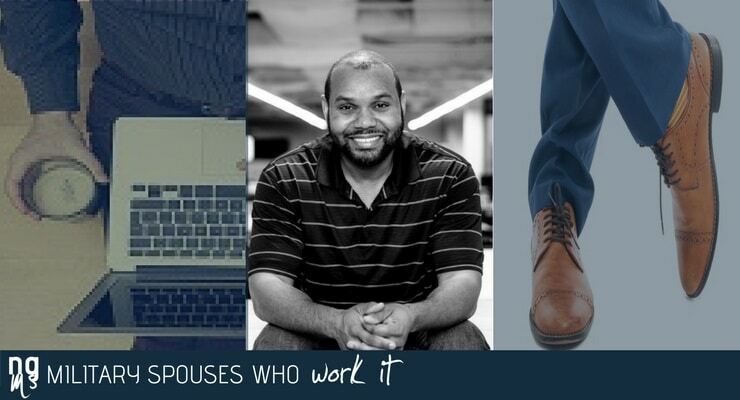 We probably split up household stuff the way most folks do, but my husband isn’t afraid to cook, vacuum, and do bedtime with the kids if I have a deadline or need to work at night. Outsource as much as you can. I shop online for groceries, have a cleaning service to help with housework, and even a meal planning app. If someone else can get it done faster/better than I can, for less than I make, I hire it out. My laptop. I WOULD say my Apple Watch, but Santa Claus dropped the ball this year so I’m putting it out to the universe in advance of my birthday. Slack is probably the most essential for work, but I love Wunderlist for all my to-dos. I jam out to a 90s rap Pandora station when I really need to get *ish done. Sadly, they usually go hand-in-hand! I would love to have super-sonic speed reading abilities and a photographic memory. There are so many things I’m curious about and would love to explore! Watching a client take my advice and then watch them flourish. 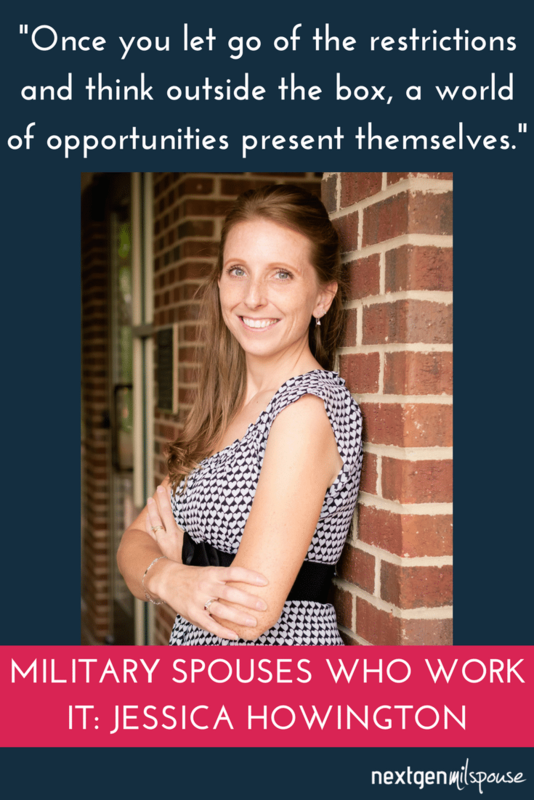 I found a post about the position on the Military Spouse Corporate Career Network and went to the Germono Advertising Company website to check out the description. 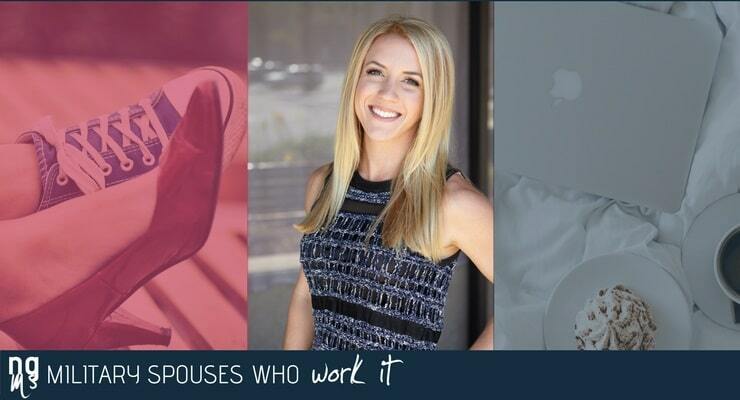 When I started going through the company’s website, I was so inspired by the work Lindsey (the owner) was doing for military spouses and veteran-owned business, I knew I not only had to apply, but also personally thank her in my e-mail with my resume for supporting this community. Finally, a company that supported my milspo lifestyle. Perhaps, it was my resume or maybe she could tell that the position and community she supports meant a lot to me. For your interview, get your power suit on, make some powerful notes for how you can help the company (which means research it beforehand) as well as notes about yourself, and go in with confidence. It’s not fun, but once you have taken a minute to mourn your failure, pull your head up and move on to the next. Failure is so important. It is what makes you to grow stronger and learn to make better decisions. 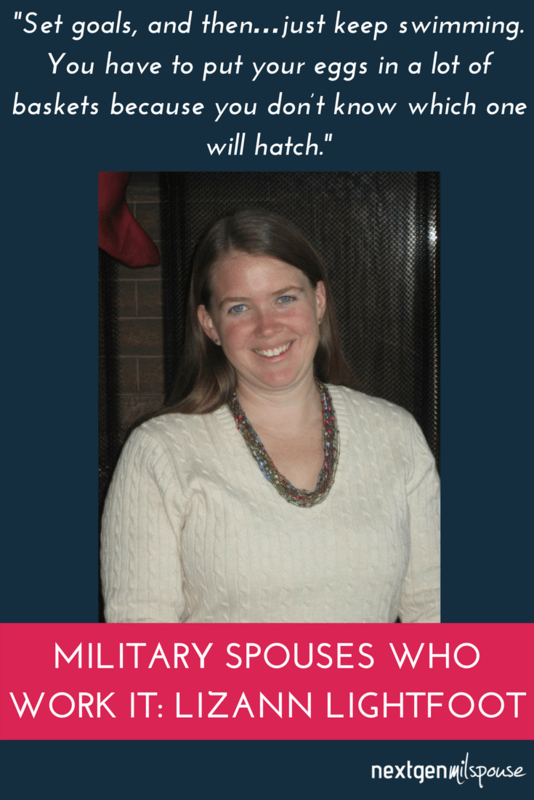 The challenge of being a working military spouse and mother is daunting. Many military spouses with children can probably relate that you frequently feel like a single parent. All the times your spouse is in the field or training or deployed plus every day he/she leaves for PT before everyone wakes up and comes home after dark. All that means you are the main caregiver for your children. Add in the fact that you’re most likely not living anywhere near family, and you quickly learn that when your have to do something for your children, you are SOL on anything else. I couldn’t tell you the number of times that I had something work or career-related planned and had to cancel because I had a sick child. Or the number of times I wanted to participate in something, but had no child care. It makes maintaining a career very difficult. Worst – Just go with it and it will all work out. My mother is my career advice and career support leader. I go to her to share all my career news and business questions. My BFF is my personal life support and sound board. Everything personal that I am struggling with I call her to talk it out or just vet. Yes, but it’s probably a 80/20 split. He has a couple tasks that are “supposed” to be his responsibility such as taking out the trash. I pretty much do the rest and he tries to step in when he can tell I am losing my mind. He also occasionally gets a “honey-do list.” It’s OK though because I do a better job at cleaning. For my own sanity, I have to keep the house semi-clean and orderly. I struggle to sit down and work unless my workspace is clean. Since I mostly work from home, that means my house or at the room I am working in needs to feel comfortable and organized, not chaotic. I think it promotes more organized thoughts as you are working. I can actually be productive with some Disney princess tunes. I could use it getting more work done in the evening or spending quality time with my spouse. Teleportation. I could easily get from place to place and be able to travel the world in a blink of an eye!